What makes a bar a dive bar, much less a good dive bar? We mulled this over while peeling the label from our Kőbányai beer, and came up with the following: A good dive bar should be like a distant but good friend, someone you don’t see often, but you know is always there for you. It should have some history to it. It is always inclusive, and an element of kitsch helps. A bar that is rarely a primary destination, but where you end up late at night (you should have stopped drinking before going to this bar, but you didn’t). A place where you can overindulge and nobody seems to mind: it’s a dive, so you can get sloppy. That’s what it’s there for, and everybody is welcome. And it goes without saying that a good dive is cheap. 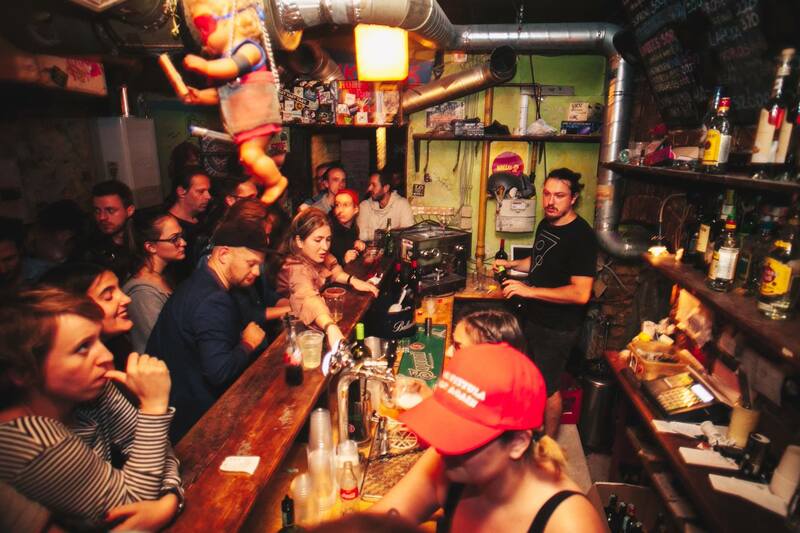 Budapest, for being a drinking city, is actually catching up when it comes to good dive bars. Most low-end bars are what are called késdobáló—or dagger-throwing bars. 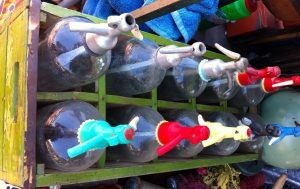 These are where the dispirited go, sometimes first thing in the morning, to begin drinking cheap tablettás bor or rotgut. Unlike a dive, there is nothing festive about such places, which exist to service hardened drinkers. In Budapest, the dive culture was mostly side-tracked, or subsumed by the ruin pub scene, which offered many of the same pleasures as a good dive. But the dive bars Budapest has are very good ones. To help you cut to the chase when it comes to finding some divey fun, we have compiled a list of some of the best Budapest has to offer. Note that this list is based on extensive personal research. We offer them in no particular order, but recommend you try them all, though perhaps not on the same night. 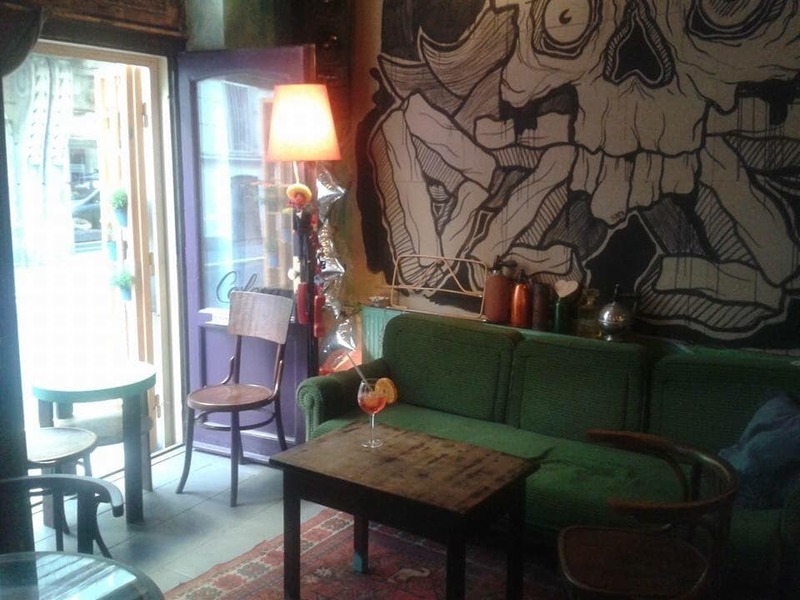 Vittula is the first bar that springs to mind when we think of a Budapest dive bar. Over its 15-plus year history it has become an icon on the local nightlife scene, hosting underground bands, all stripe of dj, and even a Bukowski showcase night. Notorious for its constantly disappearing bathroom doors, dim cellar space, and punk rock bartenders, Vittula is the number one choice for a nightcap for so many late night revellers. If you wake up in a wig, covered in sparkles, and there is a similarly dressed stranger next to you in bed, chances are you were at Vittula the night before. Dzzs Bár gives Vittula a run for its money in terms of late-night decadence and inner-city cool. While new ownership and re-decoration has spiffed it up a bit, it still has an anything-goes feeling, especially into the early morning hours. 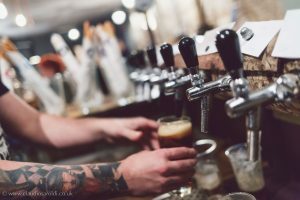 Serving quality Czech beer, and with its loungy feeling, it is the most comfortable and tourist friendly bar on the list, though its seedy first few years in existence firmly established it as one of the inner seventh district best dives. Guri Serház is being included because there should be one dive that has good, drinkable craft beer. Despite that hipster trapping, the Guri collects all kinds of clientele due to its location next to Keleti Train Station. If you are familiar with that section of Bethlen Gábor utca, you know what we are talking about; it’s a place where though you might not actually see the criminality happening, you just know it’s there. 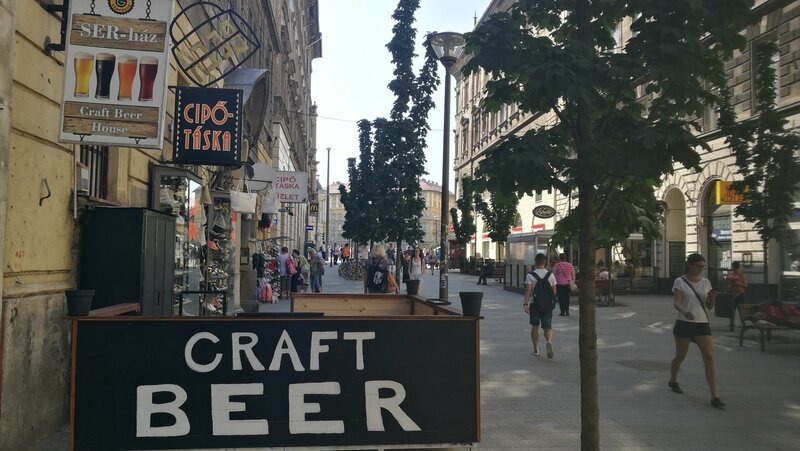 Six hundred and ninety forint mugs of great Hungarian craft beer keep the Guri filled with regulars and travelers alike. Calgary Antik Drinkbár is your place if you like plenty of csecsebecse (or knick-knacks). It’s like drinking in an eccentric grandmother’s living room. Unlike most spots on this list, the Calgary is not a rowdy bar, but a quirky, almost quaint place to get quietly sloshed. Moreover it’s on the Buda side unlike so many of the city’s dives. It also has the added bonus of being not far from Budapest’s all time classic presszó (which is kind of a dive of of cafés), the Bambi Eszpresszó. 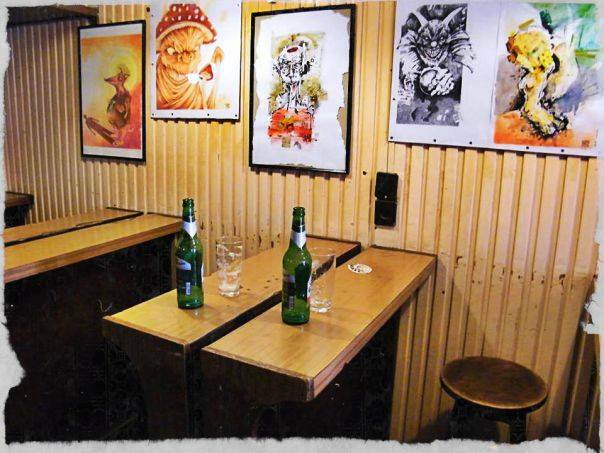 Villányi Borozó is a former old man’s pub that was colonized by a younger, and even grungier crowd of bike messengers. Offering some of the cheapest drinks in the city center, the Villányi is always full. 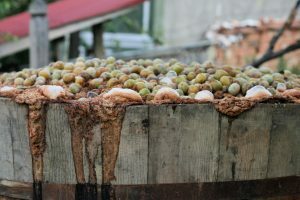 Just don’t expect to get quality Villányi wine, despite the name. 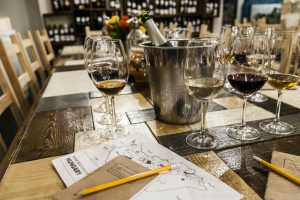 Do expect to get a whiff of a joint, and a taste of the type of cheap borozó (wine bar) that is fast disappearing from this swanky part of town. Megálló (The Stop) has a transient feel to it, as good dives should. The place is located by Nyugati Station, and it’s no mystery why some of the best dive bars are located near train stations. Do yourself a favor and sit in the back room, which is decorated like some Dadaist’s childhood scrapbook. 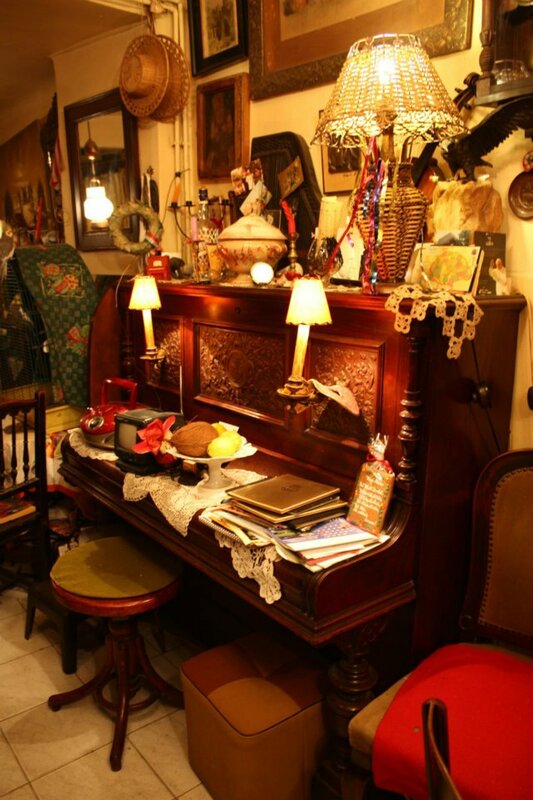 The place is whimsical, filled with local clientele and revellers of all ages. 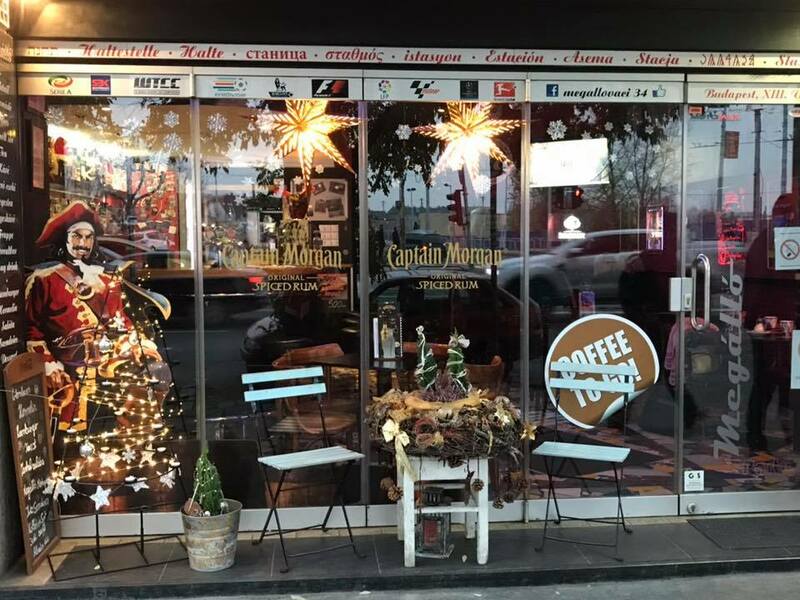 With its big storefront window, it’s an ideal place to sit and watch commuters and workers from the nearby office buildings walk by, while you are taking advantage of a stolen moment in one of the city’s many great dive bars. The Taste Hungary staff also like: Derby Büfé, Piccolo Sörbár, Mátra Borozó, Kisüzem, Két Korsó, Aranykorsó Söröző, Tóth Kocsma, Polo Pub, and A Mélypont Presszó. 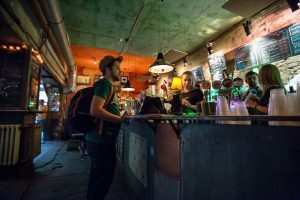 Got any favorite dive bars in Budapest? Leave a comment! 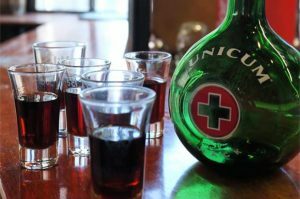 If you like a tipple and want to get to know Budapest’s bar scene, join our Ruin Bar Walk to see what is making Budapest’s drinking scene so famous.